Pope Innocent IV (Latin: Innocentius IV; c. 1195 – 7 December 1254), born Sinibaldo Fieschi, was Pope of the Catholic Church from 25 June 1243 to his death in 1254. Born in Genoa (although some sources say Manarola) in an unknown year, Sinibaldo was the son of Beatrice Grillo and Ugo Fieschi, Count of Lavagna. 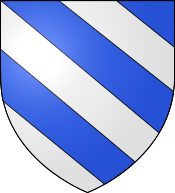 The Fieschi were a noble merchant family of Liguria. Sinibaldo received his education at the universities of Parma and Bologna and, for a time, taught canon law at Bologna. It is pointed out by Agostino Paravicini-Bagliani, however, that there is no documentary evidence of such a professorship. From 1216-1227 he was Canon of the Cathedral of Parma. He was considered one of the best canonists of his time, and was called to serve Pope Honorius III in the Roman Curia as Auditor causarum, from 11 November 1226 to 30 May 1227. He was then promoted to the office of Vice-Chancellor of the Holy Roman Church (from 31 May to 23 September 1227), though he retained the office and the title for a time after he was named Cardinal. Vice-Chancellor Sinibaldo Fieschi was created Cardinal Priest of San Lorenzo in Lucina on 18 September 1227 by Pope Gregory IX (1227-1241). He later served as papal governor of the March of Ancona, from 17 October 1235 until 1240. It is widely repeated, from the 17th century on, that he became bishop of Albenga in 1235, but there is no foundation to this claim. Innocent's immediate predecessor was Pope Celestine IV, elected 25 October 1241, whose reign lasted a mere fifteen days. The events of Innocent IV's pontificate are therefore inextricably linked to the policies dominating the reigns of popes Innocent III, Honorius III and Gregory IX. Gregory had been demanding the return of portions of the Papal States taken over by Holy Roman Emperor Frederick II when he died. 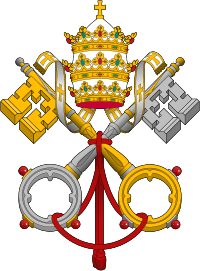 The Pope had called a general council so he could depose the emperor with the support of Europe's spiritual leaders, but Frederick had seized two cardinals traveling to the council in hopes of intimidating the curia. The two prelates remained incarcerated and missed the conclave that immediately elected Celestine. The conclave that reconvened after his death fell into camps supporting contradictory policies about how to treat with the emperor. After a year and a half of contentious debate and coercion, a papal election finally reached a unanimous decision. Cardinal de' Fieschi very reluctantly accepted election as Pope 25 June 1243, taking the name Innocent IV. As Cardinal de' Fieschi, Sinibaldo had been on friendly terms with Frederick, even after his excommunication. The Emperor also greatly admired the cardinal's wisdom, having enjoyed discussions with him from time to time. Following the election the witty Frederick remarked that he had lost the friendship of a cardinal but made up for it by gaining the enmity of a pope. His jest notwithstanding, Frederick's letter to the new pontiff was couched in respectful terms, offering Innocent congratulations and success, also expressing hope for an amicable settlement of the differences between the empire and the papacy. Negotiations leading to this objective began shortly afterwards, but proved abortive. Innocent refused to back down from his demands, Frederick II refused to acquiesce, and the dispute continued, its major point of contention being the reinstatement of Lombardy to the Patrimony of St Peter. The Emperor's machinations caused a good deal of anti-papal feeling to rise in Italy, particularly in the Papal States, and imperial agents encouraged plots against papal rule. Realizing how untenable his position in Rome was growing, Innocent IV secretly and hurriedly withdrew, fleeing Rome on 7 June 1244. Traveling in disguise, Innocent made his way to Sutri and Civitavecchia, to Genoa, his birthplace, where he arrived on 7 July. From there, on 5 October, he fled to France, where he was joyously welcomed. Making his way to Lyon, where he arrived on November 29, 1244, Innocent was happily greeted by the magistrates of the city. Finding himself now in secure surroundings and out of the reach of Frederic II, Innocent summoned, in a sermon preached on December 27, 1244, as many bishops as could get to Lyon (140 bishops were present), to attend what became the 13th General (Ecumenical) Council of the Church, the first to be held in Lyon. The bishops met for three public sessions: 28 June, 5 July, and 17 July 1245. Their principal business was to subjugate the Emperor Frederick II. The earlier Pope. Gregory IX (1227-1241), had issued letters on 9 June 1239, ordering all the bishops of France to confiscate all Talmuds in the possession of the Jews. Agents were to raid each synagogue on the first Saturday of Lent of 1240, and seize the books, placing them in the custody of the Dominicans or the Franciscans. The Bishop of Paris was ordered to see to it that copies of the Pope's mandate reached all the bishops of France, England, Aragon, Navarre, Castile and León, and Portugal. On 20 June 1239, there was another letter, addressed to the Bishop of Paris, the Prior of the Dominicans and the Minister of the Franciscans, calling for the burning of all copies of the Talmud, and any obstructionists to be visited with ecclesiastical censures. On the same day he wrote to the King of Portugal ordering him to see to it that all copies of the Talmud be seized and turned over to the Dominicans or Franciscans. Louis IX, King of France, on account of these letters held a trial in Paris in 1240, which ultimately found the Talmud guilty of 35 alleged charges. Twenty-four cartloads of the Talmud were burned. Initially, Innocent IV continued Gregory IX's policy. In a letter of 9 May 1244, he wrote to King Louis IX, ordering the Talmud and any books with Talmudic glosses to be examined by the Regent Doctors of the University of Paris, and if condemned by them, to be burned. However, an argument was presented that this policy was a negation of the Church’s traditional stance of tolerance toward Judaism. On 5 July 1247, Pope Innocent wrote to the bishops of Germany and the Bishops of Gallia (France) that, because both ecclesiastical and lay persons were lawlessly plundering the property of the Jews, and falsely stating that at Eastertime they sacrificed and ate the heart of a little child, the bishops should see to it that the Jews not be attacked or molested because of these or other reasons. In the year 1247, in a letter of 2 August to King Louis of France, he reversed his stance on the Talmud, and wrote letters to the effect that the Talmud should be censored rather than burned. Innocent IV’s words were met with the disapproval of Odo of Châteauroux, Cardinal Bishop of Tusculum and former Chancellor of the University of Paris. Nonetheless, Pope Innocent IV’s policy was continued by subsequent popes. The First Council of Lyon of 1245 had the fewest participants of any General Council before it. However three patriarchs and the Latin emperor of Constantinople attended, along with about 150 bishops, most of them prelates from France and Spain. They were able to come quickly, and Innocent could rely on their help. Bishops from the rest of Europe outside Spain and France feared retribution from Frederick, while many other bishops were prevented from attending either by the invasions of the Mongols (Tartars) in the Far East or Muslim incursions in the Middle East. In session, Frederick II's position was defended by Taddeo of Suessa, who renewed in his master's name all the promises made before, but refused to give the guarantees the pope demanded. Unable to end the impasse Taddeo was horrified to hear the fathers of the Council solemnly depose and excommunicate the Emperor on 17 July, while absolving all his subjects from allegiance. The political agitation over these acts convulsed Europe. The turmoil relaxed only with Frederick's death in December 1250, which removed the proximate threat to Innocent's life and permitted his return to Italy. He departed Lyon on 19 April 1251, and arrived in Genoa on 18 May. On 1 July, he was at Milan, accompanied by only three cardinals and the Latin Patriarch of Constantinople. He stayed there until mid-September, when he began an inspection tour of Lombardy, heading for Bologna. On 5, November, he reached Perugia. From 1251–53 the Pope stayed at Perugia until it was safe for him to bring the papal court back to Rome. He finally saw Rome again in the first week of October, 1253. He left Rome on 27 April 1254, for Assisi and then Anagni. He immediately threw himself into the problems surrounding the succession to the possessions of Frederick II, both as German Emperor and as King of Sicily. In both cases, Innocent continued Pope Gregory IX's policy of opposition to the Hohenstaufen, supporting whatever opposition there could be found to that House. This papal stance embroiled Italy in one conflict after another for the next three decades. Innocent VI himself, following after the papal army which was seeking to destroy Frederick's son Manfred, died in Naples on 7 December 1254. While in Perugia, on 15 May 1252, Innocent IV issued the papal bull Ad extirpanda, composed of thirty-eight 'laws', and (in Lex 25) permitting the torture of heretics. 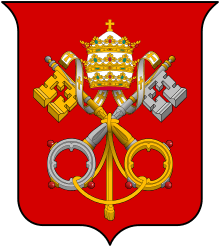 Innocent IV (1243-1254) was probably the first pope who used personal arms. As Innocent III had before him, Innocent IV saw himself as the Vicar of Christ, whose power was above earthly kings. Innocent, therefore, had no objection to intervening in purely secular matters. He appointed Afonso III administrator of Portugal, and lent his protection to Ottokar, the son of the King of Bohemia. The Pope even sided with King Henry III against both nobles and bishops of England, despite the king's harassment of Edmund Rich, the Archbishop of Canterbury and Primate of All England, and the royal policy of having the income of a vacant bishopric or benefice delivered to the royal coffers, rather than handed over to a papal Administrator (usually a member of the Curia) or a Papal collector of revenue, or delivered directly to the Pope. The warlike tendencies of the Mongols also concerned the Pope, and he sent a papal nuncio to the Mongol Empire in an attempt to strike an agreement. Innocent decreed that he, as Vicar of Christ, could make non-Christians accept his dominion and even exact punishment should they violate the non-God centered commands of the Ten Commandments. This policy was held more in theory than in practice and was eventually repudiated centuries later. The papal preoccupation with imperial matters and secular princes caused the spirituality of the Church to suffer. 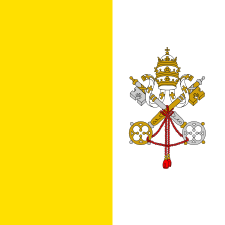 Taxation increased in the Papal States and the complaints of the inhabitants grew loud and hot. In August 1253, after much worry about the order's insistence on absolute poverty, Innocent finally approved the rule of the 2nd Order of the Franciscans, the Poor Clares, founded by St. Clare of Assisi, the great friend of St Francis. In 1246 Edmund Rich, former Archbishop of Canterbury (died 1240), was named a saint. In 1250 Innocent proclaimed the pious Queen Margaret (died 1093), wife of King Malcolm III of Scotland, a saint of God. The Dominican priest Peter of Verona, martyred by Albigensian heretics in 1252, was raised to the altars, as was Stanislaus of Szczepanów, the great Polish Archbishop of Cracow, both in 1253. Innocent IV is often credited as helping to create the idea of Legal personality, persona ficta as it was originally written, which has led to the idea of corporate personhood. This allowed monasteries and universities the ability to act as a single legal entity, allowing for their existence to be more continuous and for monks pledged to poverty to nonetheless be part of an organization that could own infrastructure, but as "fictional people" they could not be excommunicated or considered guilty of delict, that is, negligence to action that is not contractually required. This meant that punishment of individuals within an organization would reflect less on the organization itself as it would if the person running such an organization was said to own it rather than be a constituent of it, and was meant to provide stability. Innocent IV was responsible for the eventual deposition of King Sancho II of Portugal at the request of his brother Afonso (later King Afonso III of Portugal). One of the arguments he used against Sancho II in his Grandi non immerito text was his status as a minor upon inheriting the throne from his father Afonso II. The 1246 letter of Güyük to Pope Innocent IV. Pope Innocent IV sends Dominicans and Franciscans out to the Tartars (Mongols). In 1245, Innocent IV issued bulls and sent an envoy in the person of Giovanni da Pian del Carpine (accompanied by Benedict the Pole) to the "Emperor of the Tartars". The message asked the Mongol ruler to become a Christian and stop his aggression against Europe. The Khan Güyük replied in 1246 in a letter written in Persian that is still preserved in the Vatican Library, demanding the submission of the Pope and the other rulers of Europe. Ascelin of Lombardia receiving a letter from Pope Innocent IV, and remitting it to the Mongol general Baiju. In 1245 Innocent had sent another mission, through another route, led by Ascelin of Lombardia, also bearing letters. The mission met with the Mongol ruler Baichu near the Caspian Sea in 1247. The reply of Baichu was in accordance with that of Güyük, but it was accompanied by two Mongolian envoys to the Papal seat in Lyon, Aïbeg and Serkis. In the letter Guyuk demanded that the Pope appear in person at the Mongol imperial headquarters, Karakorum in order that “we might cause him to hear every command that there is of the jasaq”. The envoys met with Innocent IV in 1248, who again appealed to the Mongols to stop their killing of Christians. Innocent IV would also send other missions to the Mongols in 1245: the mission of André de Longjumeau and the possibly aborted mission of Laurent de Portugal. The remainder of Innocent's life was largely directed to schemes for compassing the overthrow of Manfred of Sicily, the natural son of Frederick II, whom the towns and the nobility had for the most part received as his father's successor. Innocent aimed to incorporate the whole Kingdom of Sicily into the Papal States, but he lacked the necessary economic and political power. Therefore, after a failed agreement with Charles of Anjou, he invested that kingdom to Edmund, the nine-year-old son of King Henry III of England, on 14 May 1254. In the same year, Innocent excommunicated Frederick II's other son, Conrad IV, King of Germany, but the latter died a few days after the investiture of Edmund. At the beginning of June, 1254, Innocent moved to Anagni, where he awaited Manfred's reaction to the event, especially considering that Conrad's heir, Conradin, had been entrusted to Papal tutelage by King Conrad's testament. Manfred submitted, although probably only to gain time and counter the menace from Edmund, and accepted the title of Papal vicar for southern Italy. Innocent could therefore enjoy a moment in which he was the acknowledged sovereign, in theory at least, of most of the peninsula. Innocent overplayed his hand, however, by accepting the fealty of Amalfi directly to the Papacy instead of to the Kingdom of Sicily on 23 October. Manfred immediately, on October 26, fled from Teano, where he had established his headquarters, and headed to Lucera to his Saracen troops. Manfred had not lost his nerve, and organized resistance to papal aggression. Supported by his faithful Saracen troops, he began using military force to make rebellious barons and towns subnit to his authority as Regent for his nephew. Realizing that Manfred had no intention of submitting to the Papacy or to anyone else, Innocent and his papal army headed south from his summer residence at Anagni on October 8, intending to confront Manfred's forces. On 27 October 1254 the Pope entered the city of Naples. It was on a sick bed at Naples that Innocent IV heard of Manfred's victory at Foggia on December 2 against the Papal forces, led by the new Papal Legate, Cardinal Guglielmo Fiesch (the Pope's nephew). The tidings are said to have precipitated Pope Innocent's death on 7 December 1254 in Naples. From triumph to disaster had taken only a few months. Innocent's learning gave to the world an Apparatus in quinque libros decretalium, a commentary on papal decrees. He is also remembered for issuing the papal bull Ad extirpanda, which authorized the use of torture by the Inquisition for eliciting confessions from heretics. ↑ Pavoni, p. 6. Cerchiari, p. 10. Augustus Potthast, Regesta pontificum Romanorum I (Berlin 1874), no. 8039 (September 23, 1227). He used the title Magister as Vice-Chancellor. A successor appears on December 9, 1227: Potthast, p. 939. ↑ According to Paravicini Bagliani, p. 64–65, his alleged episcopate in Albenga is not attested in any of the contemporary sources and adds that the see of Albenga was occupied by Simon from 1230 until 1255. But compare, Conradus Eubel, Hierarchia catholica medii aevi I editio altera (Monasterii 1913), p. 81. ↑ Ioannes Dominicus Mansi, Sacrorum Conciliorum nova et amplissima collectio Tomus 23 (Venice 1779), pp. 613-619 (17 July 1245). ↑ Michel Pastoureau (1997). Traité d'Héraldique (3e édition ed.). Picard. p. 49. ISBN 2-7084-0520-9. ↑ H. Fernandes, 2006, 82. ↑ He had spent the Spring of 1254 in Assisi: Potthast, p. 1268. ↑ Eubel I, p. 7 and p. 48. Wikimedia Commons has media related to Innocentius IV. Accame, Paolo (1923). Sinibaldo Fieschi, vescovo di Albenga (Albenga 1923). Baaken, G. (1993). Ius imperii ad regnum. Königreich Sizilien, Imperium Romanum und Römisches Papsttum... (Köln-Weimar-Wien 1993). Berger, Elie (editor), Les registres d' Innocent IV 4 vols (Paris 1884-1921). August Folz, Kaiser Friedrich II und Papst Innocenz IV. Ihr Kampf in den Jahren 1244 und 1245 (Strassburg 1905). Melloni, Alberto (1990). Innocenzo IV: la concezione e l'esperienza della cristianità come regimen unius personae, Genoa: Marietti, 1990. V. Piergiovanni, "Sinibaldo dei Fieschi decretalista. Ricerche sulla vita," Studia Gratiana 14 (1967), 126-154 [Collectanea Stephan Kuttner, IV]. Paravicini Bagliani, Agostino (1972), Cardinali di curia e "familiae" cardinalizie. Dal 1227 al 1254, Padua 1972. 2 volumes. Paravicini Bagliani, Agostino (1995). La cour des papes au XIIIe siècle (Paris: Hachette, 1995). Paravicini-Bagliani, Agostino (1994). The Pope's Body (Chicago: University of Chicago Press 2000) [Italian edition, Il corpo del Papa, 1994]. Paravicini-Bagliani, Agostino (2000). "Innocenzo IV," Enciclopedia dei Papi (ed. Mario Simonetti et al.) I (Roma 2000), pp. 384–393. Paravicini-Bagliani, Agostino (2002b). "Innocent IV," in Philippe Levillain (editor), The Papacy: An Encyclopedia Volume 2: Gaius-Proxies (NY: Routledge 2002), pp. 790–793. Pavoni, Romeo (1997). "L'ascesa dei Fieschi tra Genova e Federico II," in D. Calcagno (editor), I Fieschi tra Papato e Impero, Atti del convegno (Lavagna, 18 dicembre 1994) (Lavagna 1997), pp. 3–44. Pisanu, L. (1969). L'attività politica di Innocenzo IV e I Francescani (1243-1254) (Rome 1969). Podestà, Ferdinando (1928). Innocenzo IV (Milan 1928). Prieto, A. Quintana (1987). La documentation pontificia de Innocencio IV (1243-1254) (Rome 1987) 2 volumes. Puttkamer, Gerda von (1930). Papst Innocenz IV. Versuch einer Gesamptcharakteristik aus seiner Wirkung (Münster 1930). Rendina, Claudio (1983). I papi. Storia e segreti. Rome: Newton Compton. Weber, Hans (1900). Der Kampf zwischen Papst Innocenz IV. und Kaiser Friedrich II, bis zur Flucht des Papstes nach Lyon (Berlin: E. Ebering 1900). Wolter, L. and H. Holstein (1966), Lyon I et Lyon II (Paris 1966).